This course educates gym climbers preparing them to climb out doors. 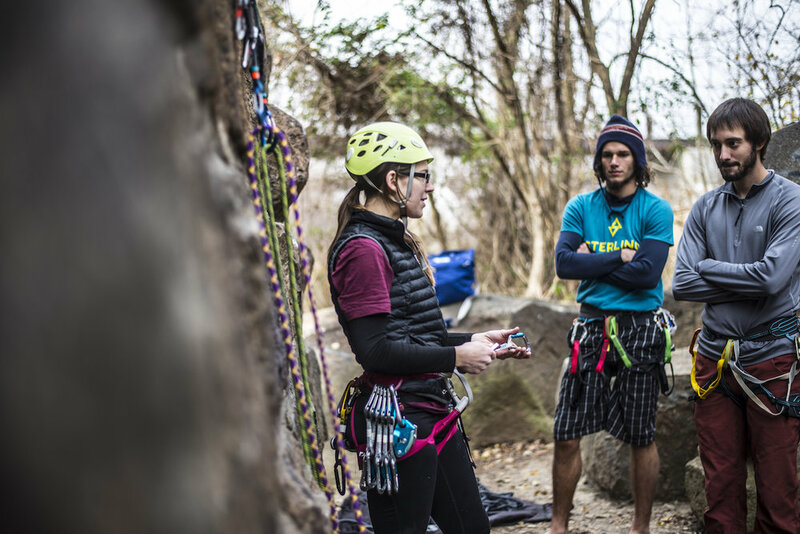 A few of the topics covered are safe top roping, how to clean a route, repelling, reading a guidebook, ethics, and environmental considerations. 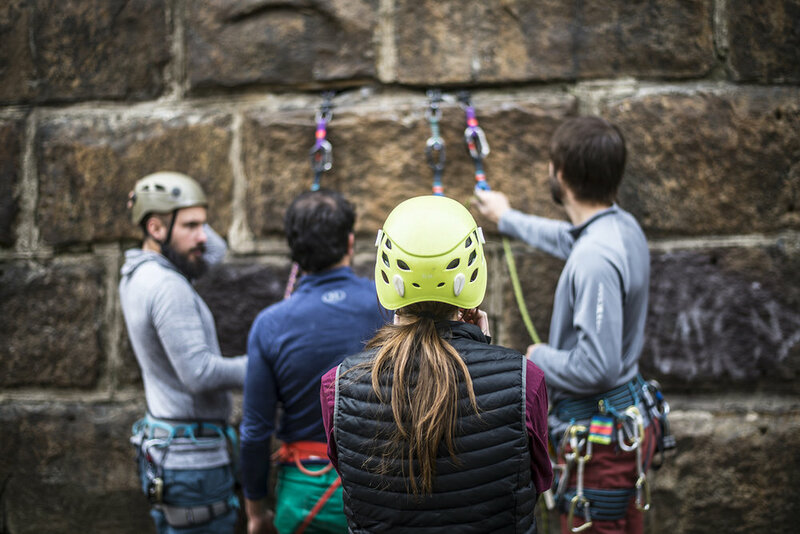 This course is an introduction to traditional climbing gear, how to lead and build anchors. We cover proper placements and how to assess the quality of those placements. In this course we cover everything that is in the Intro course, and take it to the next level. 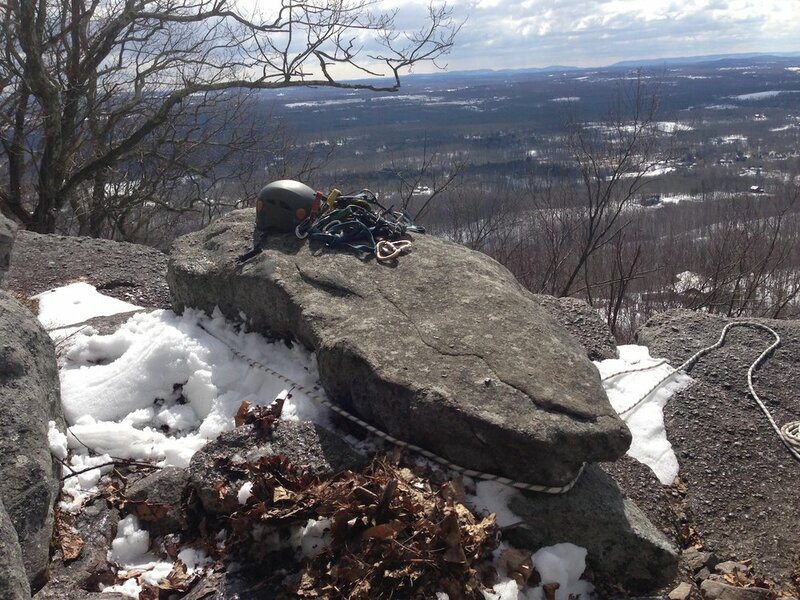 We will spend 2-3 days climbing routes and practicing gear placement and proper strategies to minimize risk. 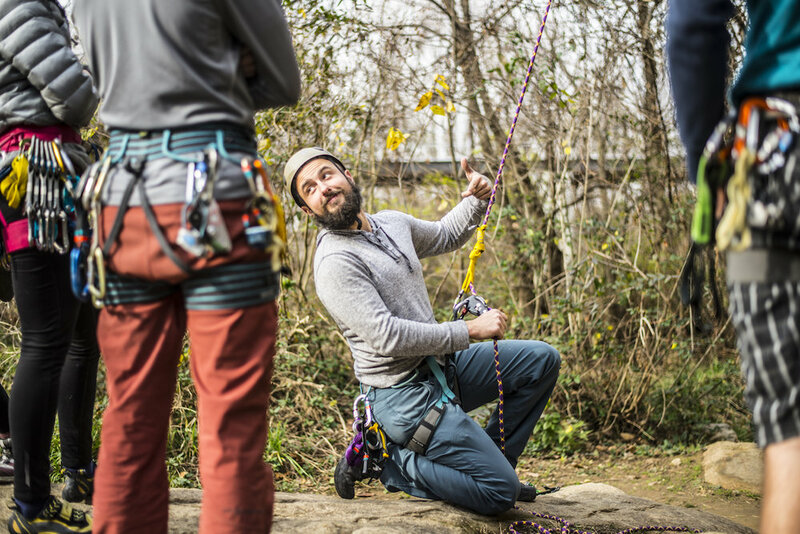 This course can be taught in the gym or locally and will cover escaping belay, pick-offs, rope ascension, hauling, and local emergency protocols, and considerations. 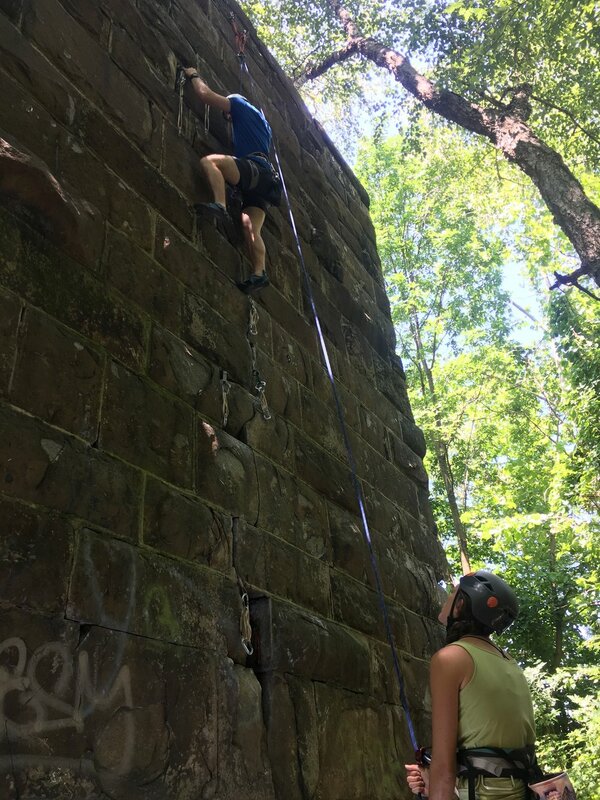 This course will be 2-3 days and will cover all the topics from Single Pitch Rescue, load transfers, tandem repels, knot passes, loaded anchor transfers, advanced hauling, escaping belay in a multi pitch environment, counter balance pick offs, and much more. This is an advanced course and will be an intense learning experience.